I have been having heart palpitations (PVC) for over 8 months. I've been very anxious since one of episodes when my heart rate raised and I had a mini black-out. All I can think of is how to stop my heart palpitations because I'm very scared of them. My blood tests were all normal except Vitamin D being low. My Serum Magnesium and Calcium are in normal range. The cardiologist said everything is normal and prescribed me beta-blocker medication. I really don't want to go on beta-blocker as I heard that they can be quite dangerous. per day) along with fish oil. But I still get the heart palpitations. Should I increase the magnesium intake? How long will it take for magnesium to help? Could Aloe Vera Gel help? That's a difficult situation. I would definitely have recommended Magnesium and Fish Oil for your palpitations. But it is possible that you are not taking enough. Neither your Magnesium Level nor your Calcium Levels are good indications of your need for either one. You can also see the Epsom Salt Uses page to see how to take a bath using Magnesium Bath Flakes at night before you go to bed. The magnesium is actually absorbed right through the skin and can help get some extra magnesium in you- especially if there is a possibility that you are just not absorbing the magnesium through your gastrointestinal tract. You can also use Magnesium Bath Flakes in a warm bath if you are home and begin to feel the palpitations. The combination of the magnesium and the relaxation might help. Be sure that you are also taking a High Quality Multivitamin and Mineral because it could be other electrolytes that you are particularly sensitive to being out of balance. Be sure to stop all caffeine and all stimulants, of course, as that could be contributing to your issues. First of all, thank you very much for your reply. Your suggestions are very valuable to me. I will increase the amount of Magnesium as you suggested. What other mineral supplements did you mean? To be honest, I've started taking Metoprolol tartrate a few days ago (the most minimal dose - 25 mg per day) - I just can't handle the heart palpitations any longer. They scare me so much. The doctor said to increase the dose after one week if tolerated. But I'm hoping that if I increase the Magnesium intake I could possibly keep the medication at the minimal dose. How long for should I wait before I can say "Magnesium doesn't help" (I've been taking it for almost 4 weeks)? Do you know if I can take Metoprolol along with Magnesium? Have you heard anything about Aloe Vera Soft Gels? I heard this may help also? How much of Aloe Vera can I take? Once again, thank you very much for coming back to me! While magnesium is one of the main minerals in electrical conduction, all minerals and trace minerals work together. Sodium, potassium, chloride, phosphorus and many others are all responsible for electrical activity and can all be partially responsible for irregular heart rhythms. If you use regular table salt, this could actually be depleting you of other minerals. Consider switching to Pure Himalayan Pink Salt. Table salt is not 'salt' but the chemical NaCl and is not fit for human consumption. 'Salt' is what you get from mines or from evaporation of seawater. NaCl is NOT salt! And only 'salt' should be eaten by humans. I also would recommend a High Quality Multivitamin and Mineral in order to make sure that you are getting all of the minerals that you need in amounts that are present in actual foods. I had not heard of Aloe Vera gel helping heart palpitations and so did some looking. I could not find any information on this from any reputable sources such as clinical trials and research studies. So, while there are a lot of benefits to taking Aloe Vera Gel on a regular basis, I can't recommend it for heart palpitations specifically. As far as how long it will take to notice a difference, it will depend upon how deficient you are. I would think that if you gave it a good month of using magnesium in the amount outlined on the Magnesium Dosage page and epsom salt baths, then you could likely safely say that it is not a magnesium problem. Lena, PLEASE don't feel bad about having to go on medications. There is a time for medications and a time for trying other methods. I commend you for trying to stay off of medications. But heart palpitations ARE scary and there is no reason for you to sit and suffer and be constantly afraid that something bad will happen when there are medications that can help you. Thank you very much Kerri for your recommendations! I will add the other mineral supplements to my diet as per your advice and will keep you posted about my progress. 1. 8 to 12 diet cokes per day. When I stopped, it helped. It was caffeine, nutraweet, or both. 2. Anxiety. I take theanine for that, an amino acid in green tea. 3. Started megadosing Vitamins C (3 grams), E (800 IU), B50, calcium, magnesium, zinc. This took it down to hardly ever palps. 4. Hawthorn berries, but I took at least 4 grams, up to 16 grams at a time. It has zero sides affects, but long time use of herbs is not good,better than meds though. 5. I now take about 80 pills per day, all vitamins, minerals, amino acids, all natural no presciptions. I am 51, male, look 37. No erectile dysfunction. hawthorn berries work as good as inderal if you take enough of them. First of all I'd like to thank everyone, who tries helping me and others who may have the same problem. 1. Magnesium up to 600mg a day - did not help. I've stopped taking it. 2. Fish oil - did not help. I've stopped taking it. 3. Metoprolol 12.5mg twice a day - did not help. I've stopped taking it. 4. Coenzyme Q-10 Supplements - helped a little: reduced frequency of heart palpitations. But I still get quite a few of them. 1. Multivitamin and Mineral Supplement Kerry, I couldn't find the ones you suggested in Australia. So I got myself Centrum Complete from A to Z. I take 1 a day. Is this enough? 2. Pure Himalayan Pink Salt. I use it for cooking instead of normal salt. I also prepared brine solution and take it 1 tsp of it in one glass of water. 1. Taking multivitamins and Himalayan Mineral Salt brine solution together - wouldn't it be too much of minerals? 2. The brine solution that I prepared out of Pure Himalayan Pink Salt has some pink sediment. Is it safe to drink the solution with the sediment? 3. The other thing I'd like to try is Hawthorn berries as someone suggested. What would be your recommendation on how much and how I should take it? 4. The friend also suggested theanine for anxiety, an amino acid in green tea. Please comment on this. 5. And at last, I heard that taking supplements/minerals for a long period of time is not recommended. How long I can take them for before I should take a break? First of all, don't give up so soon on magnesium. You may just have an exceptionally high need for magnesium. 600 mg is NOT a very high dose and you can continue up to 1000 mg and even higher. Read my page on Magnesium Dosage. Dr. Carolyn Dean who wrote, "The Magnesium Miracle" personally takes over 1000 Mg per day. She also recommends using Topical Magnesium Gel in addition to oral magnesium if you need to. Give magnesium another chance and keep going up, even start rubbing magnesium oil into your skin. Next, I have no idea about Hawthorne Berries. I don't know whether they will help or not. Next, if you take theanine, it can be stimulating- with or without the caffeine from green tea- so, I really don't recommend it. Next, I'm not sure where you heard that taking minerals for long periods of time is bad. We NEED minerals, and the people who live in areas, like the Himalayas where there is glacial runoff, literally drink the white mineral rich water that has tons of minerals in it all of their lives. And they are long lived people. It is claimed that the highly mineral rich water that the Okinawans drink is one of the reasons that they live a long time. We get such an incredibly small amount of minerals in the foods that we eat, that taking extra minerals is almost a prerequisite for health. The sediment on the bottom of the saline solution that you are drinking is just minerals. Drink it up, it's good for you. I had heart palpitations when pregnant with my last baby. I would also get lightheaded and feel as if I could possibly blackout. I had never had this before, but knew I was lacking in many things, as I had 4 kids in 5 years and nursed them all as well. Anyway, after some trial and error, in the end, not enough Potassium was the main problem for me. I starting taking a liquid coral calcium supplement that had Vitamin D and magnesium as well. That didn't get rid of it, but as soon as we added a Potassium Supplement to the mix, I had major relief in about a week. Just a thought. I would also raise your magnesium up as previously suggested. I also wanted to mention that artificial sweeteners of ANY kind make the heart VERY irritable. MSG as well. These are actually known as excitotoxins and they can very much make your heart go crazy. Take a look at the book Excitotoxins: The Taste That Kills by Russell Blaylock who writes extensively about the toxicity of these substances and their link to abnormal heart rhythms. I have heart palpitations too. I have tried atenolol,omega-3,magnesium, and other vitamins, but nothing worked. Was very frequent until I started walking daily for 30 to 45 minutes a day this really helped me still have heart palpitations but only a little. 1. Hawthorn berried have been used for centuries for heart issues. They are very safe. I have taken up to 10 grams, with no side effects, and it definitely slows down the heart beat. They are wonderful. Typically 2 to 5 grams stops any heart palpitations for me. 2. Valerian root is another great way to stop the heart palpitations. But only .5 to 2 grams, but it is as safe a hawthorn. 3. Green clay form France has also worked for me, but .5 to 1 gram per day. 4. Theanine is in no way a stimulant. It is a green tea extract. Green tea does have caffeine, so don't do that, only theanine. 5. Try magnesium chloride pills. Sorry to disagree, but Ive been doing this for over 20 years. Sorry, my spelling is awful!! A few weeks ago I saw a local naturopath and she gave me a herbal tonic of motherwort, st john's wort, withania, licorice, california poppy seeds. I have been taking it 8ml X 2 daily. In a couple of weeks time since I've started taking the tonic I noticed some changes in me like I now feel some heaviness in my head, quite often I get dizzy and headaches. I also have been experiencing a lot of muscle twitching all over my body. For some reason all the above symptoms came along since I've started taking the herbal tonic. Would you have any comments of the above mentioned herbs? I read that muscle twitching can be due to magnesium depletion, so I've increased magnesium to 900mg a day (as Magnesium Amino Acid Chelate Supplements). I've noticed some improvement in palpitations although they are not completely gone yet. Now I'm not sure whether it's the tonic and/or magnesium that are helping. I also read on your website that calcium should be taking with magnesium. How much of calcium a day would you recommend and should I still take it if my blood test showed that calcium level is normal? A lot of people also suggest taking potassium. Hence, the same questions for potassium - how much of potassium a day should be taken and should it be taken even when blood results show potassium level as normal? I have frequent premature ventricular contractions (or palpitations). These come in episodes generally in the early morning when waking up, sometimes around lunch time, and always in the evening before bed and lying in bed. During these episodes that last hours, I'm getting around 40 - 50 PVCs in a minute! I understand a lot of people say palpitations and PVCs but only get them about 5 - 10 in a minute. Does anyone else here experience similar symptoms to mine as far as frequency and has anyone who have frequent PVCs like this have any relief from supplements, acupuncture, herbs, etc? I'm going to try magnesium, potassium, and eventually acupuncture. Note: My PVCs vanish when I exercise! And may stay away for hours while I'm focused and busy, but when I try to relax and sleep, they come right back 40 - 50 per minute!! Thoughts on this? French green clay works wonders for my PVC's which are alcohol and stress induced. If I am not stressed, or drink, I dont get pvc's. Hawthorn berries and valerian root work also. I take four capsules a day of french green clay- the greener the better. I have not done any research on french green clay for palpitations and know nothing about it, so I can't offer help or advice on it one way or another, but if anyone DOES have research on it, I would be happy to post it here. Hmmm. I also tried to find a good source of it to put here, but all of the products I found stated that they are 'Cosmetic Grade' which, I assume, would be of a lesser purity or have less quality control than a 'Food Grade' clay. Anyone with any information about that and/or for a good quality food grade source? Well I have read the the greener the green clay is the better. I buy mine form Swanson Vitamins, but I am sure there are as good if not better sources. Hmmm. I'm just concerned because the instructions on several of the products ONLY gave instructions on making facial masks and not for ingesting it. And one of the products (a loose powder) specifically stated that it was "Cosmetic Grade". I just don't want anyone unintentionally getting some impurities that are not intended to be ingested by buying clay that is not supposed to be taken internally. If there is even a difference, I have no idea. In the case of SOME products, there is definitely a 'food grade' version (for instance Hydrogen Peroxide), but with French Green Clay, there may or may not be and I would definitely be interested in finding out if anyone has any information. Please see Elimination of cardiac arrhythmias using oral taurine with L-arginine from George Eby research. symptoms similar to the person who has them primarily while reclining, although I thought I was experiencing Atrial Fibrillation, vagally mediated. So far the Holter 24 hr monitors haven't found AFib yet. I stopped using the Taurine/Arginine combo after 5 months of success and was off it for 8 months, but my symptoms returned when exposed to fumes from malfunctioning furnace. Note: potassium wasting might occur if Magnesium isn't being utilized well, and if Potassium (K) is being wasted, it leads to further Mg wasting (a downward spiral that is tricky to reverse)..the trick is to add Mg back gradually and don't rush the potassium via supplementation, best through diet (also, note: kidney problems necessitate mineral monitoring if you choose to use these minerals. If heavy metal toxicity is suspected, get a RBC Minerals/Heavy Metal analysis. Aspartates without much of any gastro effects such as laxative would incur. Lena, i wouldn't recommend the tincture, among others it has licorice--it raises blood pressure. Get motherwort and hawthorn berry tincture. Herbs may cause drowsiness but are very cardio helpful. Try experimenting, but don't combine all at once (herbs and non herbs). magnesium has helped my palpatations almost disappear!! The only time i have them now is when i am about to have my monthly visit....its amazing, and the thing is my cardiologist never once mentioned to take it, it was my family dr who told me to....i will forever be greatful to him! Often heart palpitations are the result of your Vagus nerve. A simple check to see if that is your issue is what's called the Valsalva maneuver. Basically you stimulate the Vagus nerve which controls the heart rate and this will often stop palpitations. To do this, you hold your nose, close your mouth, and attempt to breathe out with some force. When done correctly this may immediately eliminate your heart palpitations. I've been doing this on occasion for 30 years. I have had the palpatations since i was a teenager, i am 51 now, i started taking magnisium (750 mg/day) and also atenolol, a beta blocker, 25 mg. they almost disappeared after a mo or so... eccept for when i have a mo. period, they seem to come back but not as bad. i take natures best otc magniesium. its cheap and it works. the beta blocker you have to watch your BP if you dont have high BP. the magniesium will cause loose stools for awhile until your body ajusts to it but it will over time. i dont drink caffiene either. thats all i do and it works for me tremendously! and i had them so bad but now i dont hardly have them at all. good luck. i know they are a horrible feeling and very scary! Hi, all, as one who has had recent struggles with PVC and have done a lot of internet research, thought it might be helpful to point out a couple cautions. First, someone suggested zinc. I had noticed often I got PVCs, it seemed, in tandem with a cold. But I often take zinc for colds. Then I looked into copper. A deficiency in copper -- which can be caused by too much zinc, as those two tend to need to be in balance -- can cause arrythmias! I have actually taken a few copper supplements just to help correct (and I now watch multis more carefully -- EmergenC, which I have taken a lot of, has zinc but no copper, as I recall. So, beware of zinc without copper. Second, another caution--I had been taking a Vitamin C with proline and lysine supplement for the heart. Turns out, lysine can deplete arginine -- and arginine deficiency can cause PVCs (esp the abnormal kinds at rest, which is what I get), or at least the supplementation can counter them. So, just maybe, these supplements can actually be doing some harm if overdone or not counter-balanced. I had the same issues as you about a year ago. My heart would skip beats, beat too many times; very aggravating and scary! The doctor also put me on beta blockers that I did not tolerate well. Made me feel drained all the time. I then went to see a cardiologist and he told me the beta blockers will only lessen the intensity of the palps. Mine were very pronounced! He told me to exercise. So I did. I stopped taking the pills and started walking, then jogging and now I go to the gym. Try the exercise! I also stopped drinking any caffeine which I believe also helped. I still get a palpitation every once in a while - every few months where as before it was all day long every day for about 2 to 4 months. I hope the exercise will work for you! My son uses Beta Blocker for his episodes of heart palpitations. Heart Doc said Beta Blockers uses up bodies supply of magnesium so he prescribed large doses of magnesium in some form. I sent him an article about taking bath in Magnesium Bath Flakes because that is a way of getting magnesium through the skin so he is going to try it. Article also says Magnesium Bath Flakes helps relieve stress and the pain from strained muscles. What I do know is I've used Magnesium Bath Flakes foot soaks successfully whenever I have an inflamed toe. I have suffered from PVCs most of my life--I'm now 60 yrs old. I've struggled with my weight for the last 10 yrs, tried weight watchers, gained it back. I just hired a nutrition and exercise coach, who put me on a high protein, low carb diet similar to Atkins. I add healthy oils and eat natural yogurt with the fat! Within a week, I no longer experienced PVCs. I have my annual physical next month and will be interested to see the outcome, but just the fact that I'm not having the PVCs seems a bit of a miracle to me. 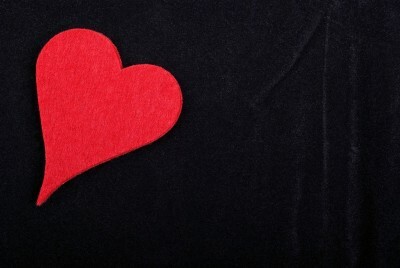 ... it's amazing how many healthy things we can do to help our hearts beat normal. I've had heart palps since I was 33 and now I'm 41. They seem to come in episodes before that time of the month or even during ovulation in the middle of the month. For some reason the greatest help I've found is from exercise and fresh vegetable juice (carrot, celery, parsley, pineapple). When I stop these, the palps come back. Juice probably helps because of the minerals! Second best helps have been calcium/magnesium citrate 1:1 ratio. I haven't tried Magnesium Bath Flakes yet. I have also had cramping pain in chest a year ago, on and off for a year...then found out my cholesterol was slightly high, not bad enough for meds. So I started taking Omega 3 Fish Oil Supplement and juicing 16oz, 4 times per week and pains were gone in 3 months. My cardiologist said I can exercise as long as I feel good exercising. They did give me the non-dye stress test and you should make sure your blood pressure isn't too high before you start exercising. First of all, thank you everyone for sharing your stories. It's been almost two years since it all started for me - palpitations, back and stomach pain and no matter what I do, can't get back to normal. It all started when I was 38, now 40. Is it all because of hormones started playing up? I find the last story so much like mine. I too still get those TERRIBLE palpitations before that time of the month or even during ovulation in the middle of the month. And I also have been suffering from back pains every day for the last two years. And no matter what I do - can't stop palpitations and can't get rid of the pain. Lately I've started juicing (celery being the major ingredient) and eating more alkaline foods. So far there is a little pain reduction but not improvement in palpitations. I only started 1 week ago though, maybe it's too soon. I'd like ask the author of the last comment - you mentioned that it took you three months before the pain was gone. How long did it take you before you noticed some improvement in palpitations? Are they gone completely? I know everybody is different, but still it'd be good to have some indication of how long it may take. Has anybody tried natural progesterone cream? Any success? I don't know how old this thread is but I wanted to share what worked for me. I had heart palpitations for a long time as well. I cut out caffeine, artificial sweeteners, and started taking L-Theanine, using Transdermal Magnesium Gel along with taking baths in Magnesium Bath Flakes. These things did help somewhat but it wasn't until I swithced to a doctor who practices integrative/functional medicine. She immediate checked my thyroid including anitbodies and diagnosed me with Hashimoto's thyroiditis. She put me on a gluten free diet and with a month I felt like a new person!! The reason I share this is because all the pills and supplements in the world cannot help until you get to the root cause of the problem. It is also important to mention that my basic thyroid panels always looked within normal range! My thyroid antibodies weren't even that elevated but my new doctor took my symptoms seriously and thank God she did. I take quite a few supplements but I am not on any medications for my thyroid. I go for testing on my thyroid every few months. I even had a nodule on my thyroid that has completely gone away. There is a time for medication, no doubt, but getting to the bottom of a health issue greatly improves our chances of staying off of medications. I hope you have since found healing, but if not, please do a full thyroid panel including antibodies. Even if your doctor says all is well, you have nothing to lose by going gluten free for 8 weeks to see if it helps. I can so relate to what I have been reading. I have had major PVCs for almost 15 years, I am 54 years old, and like someone said, I can have so many a minute that even the halter monitor couldn't keep up with them. Doctor says not to worry, but they freak me out. I have been taking Toprol for about 14 years, I am up to 200 mg a day, I started at 50 then to 100 then to 150 and finally now to 200. I weigh 114 lbs. These increments have been like three years apart from each other and have worked somewhat. My cardiologist just suggested magnesium but suggested to only take it when I am having an episode. I can go for weeks without being bothered, but then have episodes that can last for two weeks or so. There are so many suggestions on this site. Does anyone have suggestions on how to begin and with what in order to gain some relief? I would be frightened to stop the Toprol, however, even though I still suffer, for I do wonder after all these years if I stopped, would I suffer even more than I do. I don't drink caffeine, and minimize alcohol intake because those two things really contribute to palps. My thyroid numbers are alway low normal, I get tested yearly. I do get anxious and take ativan to help with the anxiety and that tends to help when the episodes are bad. I would like to try to get to a healthier place, without dependence on medication that doesn't seem to work too well anyway, getting to a more natural solution. Thank you. I was on atenolol for eights years for arrythmia. It took care of the palpitations, but I was consantly exhausted. My cardiologist said the only other options were a cardioversion or an ablation, neither of which have a high long-term success rate. So, I decided to go to a naturopathic doctor. He started me on massive doses of Vitamin B as well as a multivitamin specifically for cardiovascular heatlh. Within three months, I was completely off the beta-blockers. I still had occasional palpitations until he had me start taking a magnesium/potassium supplement as well. Now, I very rarely have any issues, and if I do it's normally after drinking alcohol or caffeine. I no longer take the mega doses that I was originally taking either. I'm down to about ten pills a day. So, why not find a naturopath who has dealt with this before instead of trying everything under the sun? Thank you for your comments. My physician also talked about an ablation, but did state did not have a high long-term success rate too. Since being on magnesium for about a month, I have noticed I appear to have less palps, far less than prior, however I do like your suggestion and now I am motivated to seek out a naturopathic doc to discuss my ongoing issue. Thanks for taking the time. There can be so many different reasons why people have heart palpitations. After 9 years of off and on incidences, doctors, and Emergency Room visits...I have found something that has helped me. I have been drinking a mixture of carrot, celery, parsley, and pineapple juice that I make my self fresh and raw. I drink part when I make it in the morning and part before bed, since I was waking up with a few strange happenings pinch pain and palps in the night. [Kerri's Note: Meat and Milk intake have nothing to do with high cholesterol. It's GRAIN fed meats, FEEDLOT dairy products and processed foods that contribute to the inflammation that leads to high cholesterol. No one should ever eat ANY meat products that are not 100% pasture raised organic and no one should eat any dairy that is not sold for RAW consumption. The only other thing the doctors found was my potassium was slightly low one visit to the ER (which can cause arrhythmia and other symptoms) and my cardiologist said that I could have the beginning of Mitral Valve Prolapse [Kerri's note: Both Low Potassium and Mitral Valve Prolapse are symptoms of Magnesium Deficiency!] even though it never registers during the halter monitor tests, EKG, or heart sonogram. I also started with light and easy exercise program to help my heart muscle strengthen, the doctors said I can exercise as long as I feel good, and that it will only benefit me. My cardiologist also gave me a "very small dose" of Xanax .25 mg that she said I could cut in half for stressful times that may trigger a symptom, because it relaxes the smooth muscles in your veins that may be having occasional spasms! This helped me in the beginning before I started my healthy adventure. I find, that I haven't needed to take the Xanax at all in 2 months now! Also if you get the chance, you all should watch the documentaries available on Netflix "Forks Over Knives" and "Stress". There's also a website Forksoverknives.com. [Kerri's Note: The movie forks over knives is based on the absolutely faulty research that has been critiqued as much nonsense by even several vegetarian reviewers who WANTED the science to be true!! Review of The China Study- the Science Behind Forks over Knives. This COMPREHENSIVE page gives you links to the science and even comes back a year later to give new science that directly contradicts the science behind the work. and then please go to this site. The author has SOUNDLY defeated the notion that animal products cause heart disease or high cholesterol. They advocate, as I do, GRASS FED meats and RAW dairy for those who are going to consume animal products. The work of Weston A. Price, who the foundation is named after, had shown this work to be entirely false decades before the science behind this movie was done. While you may think that a plant-based diet is healthier than one that contains meat, you'd likely be wrong. While eliminating PROCESSED foods is GREAT, you'll be missing out on the Omega 3 fats, Fat Soluble vitamins and Vitamin B12 that are needed for health. Wow...... I have had heart palps for about 8 years now, Do to tremendous stress in my life and I think it could have come from prevacid as well the heart burn medication.. I belive stress will cause it as it did to me anyway. But doctors new nothing I mean absolutely nothing which was a crying shame. they recommended atenolol but I researched it and it said that it would slow my heart beat down really low but I new right off that bat that my heart beat was already slow, (60 and under) per minute sometimes I recorded (50 and under)so I new taking that would probably take it dangerously low so I didn't take that. PASSION FLOWER TO RELAX ME. MINE ARE NOT GONE YET BUT THIS DOES HELP IN CALMING THEM SO THAT I AT LEAST FUNCTION....HOPE THIS HELPS. I recently had these palpitations and let me tell you "scary" is a nice word on how these feel.I have been on metatoprolol for 4 years because of high blood pressure and all of a sudden I start getting these palpitations for 3 days straight. I did a lot of reading on this subject so with a simple option I tried before going to see my doctor was start taking a multi-vitamin/eating a bannana/drinking orange juice. Turns out this worked over night!!!!! I was told by a friend I was likely very low on magnesium/potassium that was why I was having the palpitations. If you are having this problem try eating healthy and use of a multi with potassium rich foods and if your lucky like me you will feel much better. Good Luck All! I would be very cautious when taking Metotropolol (sp?) which can lower your heart beat along with other herbs which can do the same (such as Hawthorne berries). Also, check to see how much "elemental" magnesium you are getting. If a label says "600 mg." doesn't necessarily mean that is what you will absorb. As was suggested, Carolyn Dean's book, The Magnesium Miracle is excellent. Best wishes to you with your heart palpitations! Heart palpitations and arrythmia are often caused by Vitamin B12 deficiency which occurs in approximately 40% of the general population and 80% of those on a vegetarian diet. Even with B12 in the diet, many people have difficulty absorbing B12 due to intestinal inflammation caused by gluten or drugs such as antacids that interfere with the breakdown of B12 in digestion. Fatigue, poor memory/Alzheimer's, multiple sclerosis, difficulty sleeping, sleep apnea, heart disease, nerve pain, hormonal imbalance (including thyroid issues),infertility and autism can also be due to vitamin B12 deficiency. For more information on this important topic, read the book Could It Be B12? : An Epidemic of Misdiagnoses by Sally Pacholok, R.N., B.S.N. and Jeffrey J. Stuart, D.O. I had my hormones tested via saliva from my home sent in, Im SEVERE estrogen dominant, and EXTREMELY low on progesterone. Found a all natural doctor, and had creme compounded, for me. Not over he counter, 20mg USP..mine is 150mg, at night only...WOW!!! 2 months now, all is GOOD< no more sweats, headaches, panic, anxiety , palpitations, all the symptoms, that go with your cycle..Yes I still have regular period and stop creme on those days. LADIES do not suffer, and its not in your head alot of doctors push, antidepressants, thats not the problem, my doctor tried to do the same thing. Its just covering up the problem, and you still have horrible symptoms. This is the best ever, even stops the cravings, my hypoglycemic issues as well. I was diagnosed with Atrial Fibrilation 6yrs. ago.I was 40yrs. old at the time. Had a catherization performed and everything was clear. I then had an Ablation surgery performed on my heart. That helped for 1yr. before I started going into A-Fib again. Started taking Cardizem that helped me convert back into sinus rythm when I went into A-Fib. That stopped working and had arranged a 3 day hosp. stay while being put on a drug called Tikosin that had a very high sinus conversion percentage. Before the date was confirmed I went online and read about the hidden wonders of Magnesium. In desperation I said let me give it a shot. Went to my vitamin shop and the well knowledgeable employee that I very friendly with helped me choose what Mags. might help.I bought Magnesium glycinate 100% chelated and Magnesium taurate. Well, 8-10 hours after taking them both my heart converted to sinus rhythm and has been that way for 4 days so far.Cancelled hosp.stay and feeling terrific!!! My situation may have been the result of a parasite that I picked up in Mexico. I have been sick to varying degrees for the past 5 mos. First I had the flu then a cold then what I think was gardia. I decided to use garlic as a antibiotic. I took three cloves of chopped garlic on an empty stomach for ten days, this is not for the faint of heart. I never really have felt "normal" since my trip to Mexico and for the past three to four weeks I began to have palpitations. The palpitations were accompanied by extreme anxiety along with muscle spasms in my face (eye lid and lower lip). Like everyone here I searched on-line and read everything that I could regarding palpitations. My next step was to start taking magnesium, potassium, calcium and a high potency multi-vitamin, this did not work for me. What has been the miracle cure for me has been probiotics. Once I started taking probiotics within the first day the palpitations stopped, I now have more energy then I have had in years. Probiotics are worth trying if you are experiencing symptoms similar to mine. I have also noticed a general sense of well-being and contentment that I haven't felt in ages. I empathize with you all and pray that you will be as lucky as me. I have some trouble with the heart palpitations, too. My thyroid hormones production are quite high so I have this what they called hyperthyroidism. 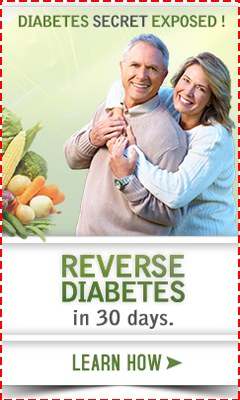 Ask your doctor to get some blood test and see if your T3 and T4 are in the right levels? Beware when using clay to "purify" you might be ingesting large quantities of aluminum. read the label! Having suffered on and off for about 10 years, I have found that my palpitations are triggered by different things. It has always been dietary...not eating enough. One time it was potassium and dehydration, this past time (currently working through) it appears to be a vitamin D deficiency and most likely because of that a calcium deficiency! Within 20 minutes of drinking a tall glass of milk, mine disappear. They have been especially severe; to the point where I would feel faint and have to lay down. I've had so many tests done, but hope to have D and calcium tested in the next couple if days. Calcium is one of the many things that regulate heart rhythms.I was always checked for the usual suspects, potassium, magnesium, thyroid...all normal this time. So, although I can't say for sure this time, because I haven't had the blood work done, it is incredible what drinking milk has done to stop them. I plan to get more sunshine, eat better, and concentrate on adding a good amount of calcium into my diet. Saying a prayer for you all who are suffering! I like you all have had palpitations and I agree they are really frightening.After seeing three local doctors and a specialist I had no success with their medication. I read on the net about a man in England who had discovered that his problem was tyramine in his food.I then looked into this and worked out the foods containing tyramine and eliminated them from my diet.It is not easy to find out all the culprits but I have managed to do it.The thing that shocked me was that all the foods that I had been eating to try to stay healthy were the problem. A lot of fruits,some vegies,nuts and cheese all contain tyramine.Since omitting the offenders from my diet I have not had any palpitations except for the day that I ate a mango.That to me proved my theory. Self diagnosing is always risky, but I like many of you feel I know my body better than most doctors do. I've recently contracted an extended heart palpatation or skipping beat and like many of you it has caused additional worry and stress. They are hard to ignore. After much reading and research, some experimentation in which I did not die, I'm pretty sure I've got either MVP or atrial fibrillation. I've noted that using an anti anxiety medication that my symptoms seem to abate, and when I get more stress it does get worse or more noticable. Also when I exercise the skipping seems to stop for a period of time. Plus when I drink alcohol, coffee, chocholate or any other stimulants it tends to make the problem worse. So I considered that in this crasy world with all the stress, that I must be reacting to it in combination to all the toxic loading that occurs if I'm not mindful of what I'm doing. For example I had started using over the counter nasal spray 6 months ago to aid my breathing during sleep. One spritz each nostril only before bed. I did not get addicted, nor suffer rebound, and I could breath, BUT there is a warning on the bottle and online that states this active ingrediant can cause palpatations, so I immediately stopped. Now two weeks later I'm still suffering from the palpations I had to take some positive action, and much of it has to do with what is listed here. I've tried everything except Co-Q-10. and I take 3 to 5 per day. One was not cutting it but the larger dose does help. So I am getting closer to figuring it out and as I do I'll try to remember to repost a comment. Some good information on this herbal treatment which makes sense. Magnesium is the key..stress emotional and physical causes magnesium losses as does alcohol and high calcium intake..avoid high calcium foods in large amounts..eg..more than say Total 500 mg from food or milk. A natural calcium regulator is inositol which has been proven to reduce anxiety. I recommend inositol in amounts of 500 to 1000 mg a day..Magnesium is also necessary to convert vit D to its active form. 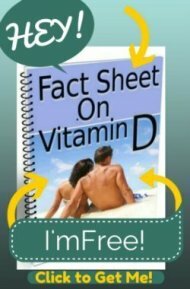 Vitamin D also has important functions as a hormone and plays a role in immune function. I agree with the magnesium recommendations of 500 up to 1000mg day unless gastrointestinal symptoms occur, then reduce the amount or skip days to relieve these symptoms. My heart palpitations probably started from the arsenic poisoning I have dealing with for the past 2 years. Chelation therapy (oral and IV) is no respecter of minerals(takes them out with the arsenic, lead, mercury...) and so I've needed to supplement most of the above mentioned supplements (B12, calcium, mag., CQ10, trace minerals, etc.). These are all players in the game, I'm sure. In addition, I went off gluten (some help), then sugar (better - virtually eliminating all processed foods) and now I'm on an anti-inflammatory diet (even better). Try http://nutritiondata.self.com/ to get information on inflammatory and anti-inflammatory foods. For me, heart palipsyations were an indicator of a food sensitivity. I went gluten free three years ago and the palpitations went away. What an active thread! I read a lot of the comments before deciding to comment myself regarding heart palpitations. I agree with the possible Mg connection. I had palpitations a few years back and once I started keeping up my Mg levels I haven't had the palpitations. I also had trouble with low potassium levels causing the palpitations. Again, as long as I keep up my Mg levels then my potassium seems to stay in check and, again, no palpitations. I really like Natural Calm- Mg Citrate and would notice a difference in just a few minutes after taking it with the palpitations. My father in law also had tachycardia after a surgery to remove his kidney. I had my husband give him he Calm the second time it happened and they went away within 2 minutes. One question I did have for you is do you know if you could have Lyme disease? This was at the root of my low Mg levels (which by the way did not show up in the Serum levels test, but responded to Mg therapy. )Heart Palpitations are definitely a symptom of Lyme Disease. I hope you're doing well by now, but if not, I hope this is helpful. Arrhythmias and have taken Lanoxin(digitalis)for years. I started taking krill oil and have experienced irregular heart beat. When checking on the web to see if anyone else ad been effected, I was stunned that tons of people ave had the same problem with fish oil and krill oil. I'm going to stick with the cal/ mag supplements I've taken for years. What with the cal/ mag and LANOXIN I never had a problem. I've searched for 'the trigger' for my nighttime palps for years (PVC, PAC, AF? Who knows... feels like extra heartbeats all night long). Took a cruise recently (sugar, alcohol, fatigue, and NO palps - go figure). So when they restarted I began a spreadsheet log with a row for every day of the year, and a checkmark and remarks on the days with palpitations. Two weeks ago I stopped Mg supps and haven't had a palp at all. I started Mg a year ago and it sure seemed like they helped but I think it is stored in the body too. I'll start a lower dose soon to hopefully keep them away. I had racing heart and skipping beats. Mine was induced by xylitol, took me a month to figure it out. But my researched yielded some help. There was a doctor who cured his own PVC's using niacin and folic acid, mega doses. Well, I used niacinimide and folic acid. 4 each four times per day. I actually was using more in the begining.It almost went away.Also, used magnesium chloride, although watch out for the runs. It really helped when I was on Xylitol. When I figured out it was xylitol, and quit that, mine completely went away. Just Google niacin and arrhythmia, and doctor or MD, you should see it. I used trace minerals and biotin also, and mega C.
I had bad heart palpitations for years, and I noticed they would fluctuate in severity throughout the month. Over 7 months, I weened myself off of hormonal birth control (orthotricyclen). The palpitations got fewer and fewer. Now, completely off birth control, I barely get any. My episodes of racing heart have been dramatically reduced too. Another interesting note: When I was on the pill, I was very intolerant of the syntroid I was prescribed to treat my hypothyroidism. It would cause major heart palpitations. Now that I'm off the pill, I can take my full dose of synthroid without any issues at all. This is just my experience, so it may not relate to others. But for me, hormonal birth control was bad news and removing the pill made a dramatic difference in my quality of life. Been suffering skipped heartbeats since October 2013, and tried everything to stop them. I've been a fitness fanatic my entire life and it's been suggested that too much exercise brought them on. Anyhow, I can eliminate them for a while if I take high dose of L-arginine. The trouble is they return and I have to keep taking the stuff - about 4gs every five hours which is probably dangerous. I'm currently still experimenting with dosage. Tried Taurine which worked for 3 weeks then stopped working after I got the flu. I have yet to try magnesium in high dose. Had all the cardiology checks and been told my heart is in good shape, so doctor is saying stress is the cause. I'm reluctant to take beta-blockers. I wish I could find a solution, something that would stop them completely. It's a frightening thing to suffer, especially at night. 10 to 14 grams of Taurine worked for me, spread out thru the day. High dose at night helps me sleep good. Also, the same amount of potassium chloride. And Magnesium Supplements, about 200 to 400 mg per day. Took several months but they went away. No MSG! It really messes me up, and it is hidden in almost every food. And I take at least 6,000 mg of Vitamin C Supplements per day. Spread out. It is involved in many heart related functions. Food does not have much C in it. heres what FINALLY worked for me. I was taking everything you mentioned and more! It helped, but didn't stop them. Then I tried decaffienated GREEN tea with fresh lemon and a dash of pure honey. 3 cups, and PVC's disappeared! So my regimen now is to continue using the supplimental vitamins as well, but to add 3 cups of decaf green tea with lemon and honey throughout the day, and at least 2 bottles of plain water in between. I feel as if pvc's never happened and it was all a bad dream. It actually makes sense that peanut butter could make you have heart palpitations because peanut butter is high in mycotoxins, as are corn, brazil nuts, coffee and many other foods. So, if peanut butter bothers you, beware of other foods with mycotoxins as they may also cause you problems as well. If you would like a mycotoxin free coffee, you can check out Bulletproof Coffee which has been extensively tested to be free of mycotoxins. Unfortunately, I know of no mycotoxin free peanut butter! Holter monitor, and echo came back inconclusive, O2 levels low, but lower at night. Palpitations are worse than ever. 3 days of non stop pounding, flipping feeling,choked up, and physical exhaustion. My anxiety level is extreme. 20 minutes after taking 99mg potassium, a lessening of the choked up feeling. Still palpitations but not quite as anxious...I am going to try the magnesium. Thanks all, especially Lena for putting it out there. Dr's do not take me seriously and dismiss my concerns and symptoms. Without your guidance, where else can a person go to? I have had palpitations since I was 3 years old! Have tried everything and I mean everything except surgery. Various cardiologists diagnosed me with various things(!!!). Have tried every single supplement mentioned above. I was finally cured last year at 59 years old by TAKING ONE DROP of POTASSIUM IODIDE in the morning before coffee or anything. Sometimes I take a drop at night. Several other people I know have been cured the same way. I can't tell you how liberating this is for me. My whole life was affected by those palpitations. I used the clear iodide only, not the dark iodine. I mix the clear drop with a small amount of water and just drink it. I got mine from la naturals at a health food store. I have had severe palpitations with irregular heart beats. Have been hospitalized with Atrial Fibrillation 4 times. I have had the drip, I've had cardioversion and ablation. even after ablation, i had another afib episode, my heart beats per minute was at 210. They gave me some medicine in my veins that jump started my heart to try to lower the beats. after three attempts, it came down. I was put on a drip for three days and by the third day, my heart rate been went into normal rythm. My thyroid had played into the irregular heart beat as well. I have been put on thyroid medication. they tested my blood and I was extremely low in magnesium and a Vitamin D Test showed that I was low. The electro cardiologist doctors gave me prodaxa which scared me to take it, so I weaned myself off of it. * Vitamin D Supplements 2000ius. * and an aspirin 81 mg a day. I gave up all caffeine, no coffee, no tea, no sodas, no chocolates, no liquor/wine (that can cause irregular heart beats as well). I've switched to organic honey as a sweetner and organic natural stevia. No splenda or any artificial sweeteners. I take Organic Coconut Oil daily, and drink organic non gmo coconut water. I drink organic decaf green tea. I brew my own organic ginger root tea everyday with organic lemon. Drink lots of water. Make an organic green veggie drink in my nutribullet. I switched to Himalayan Pink Salt and threw out table salt. I've been doing this for three years, and no longer been to the hospital. My blood pressure is controlled at 105 over 70. My pulse rate is in between 60 to 68. The doctors did tell me to keep my blood pressure low/normal and my pulse rate lower than 70. i know longer feel any palpitations and feel better. Oh, I don't eat any fast foods because I have no idea what is in it. I would also suggest you reduce your stress levels. somehow....possibly through meditation, or yoga, or just laying still and empty your mind and breathe deep breaths, take a walk, pet your dog or cat, listen to calming music....go to that happy place in your mind. my ekgs are normal. I am now 53 and life and health is better. no more episodes. what we put into our bodies from stores and fast food, can do us harm. read labels, and eat/drink natural organic as much as you can. Good luck to you. If all else fails you may want to look into reactive hypoglycemia. Palpitations can be caused by adrenaline sensitivity. After a few days on a hypoglycemia diet I started having relief from PVC's. I had to be super strict at first, eliminating caffeine, sugar, alcohol and simple carbs. It varies for everyone but I think of it as a bank account, the more diet perfect days in a row allow you to have a bad meal or drink then back to perfect diet days to replenish. There is a lot to read online about hypoglycemia causing adrenaline sensitivity, diet, symptoms such as heart palps, etc. Taurine and Arginine for palpitations. Check Google about this two aminoacids. I take 6 g of Arginine and 12 g of taurine without side effects. What a great read, thanks to all that contributed to this blog. Had a scare a few years ago and an ambulance was called...Long story short...over the past few years I have found that magnesium supplements and a COMPLETE removal of all caffeine (including the small amounts in decaf coffee)has helped tremendously. No more Palpitations=Much less anxiety. Guided meditation a few times a year handled the rest. I feel great. I also take Suntheanine, the extract of green tea, for heart palpitations and it works very well. Not aware of any side effects. Hi I have suffered for 10 years with aarythmia I would wake in the middle of the night with my heart pounding so much I could barely breath. I would have to sit upright and it would take anything from 2 hours to 10 hours for it to go back to normal. taken at bedtime and I have gone from having about 3 or 4 episodes a week to none. I have not had an episode in 4 months. I also read that magnesium is what they give you intravenously in hospital when your having a heart attack or heart surgery so why aren't the cardiologists passing this on to there patients. Epsom salts or liquid magnesium transdermally. I am adding boron also now to help absorption of everything else. No soy of any kind. My sister was completely cured with only the drop of potassium iodide and nothing else. But she got the palpitations in her 50s. She was able to cancel her ablation. It obviously had something to do with my thyroid, but tests came out normal. I heard the tests are not very reliable. To the person who now only gets heart palpitations before her "monthly visit" - did you know that MAGNESIUM gets depleted right around that time? Upping the dose during that time will keep away the PVCS for me. How much magnesium to you take? I am taking 1000 mg magnesium oxide. I am now reading this is the least absorbable. What type of magnesium should I be taking? My PVC's are seemingly caused by acid reflux. I got if form chewing massive amounts of zylitol based gum for two months. When to ER twice thinking heart attack pain was bad. They told me my heart was great after many tests, both times. I ltd them about the skipped beats, PVC's, they said reflux can irritate the vagex nerve, which controls heart rhythm. They were not concerned. Gave my many prescriptions for reflux ,reflux went away after three months, so did PVC's. I take potassium chloride, magnesium glycinate and vitamin C.
I just want to share something that has worked for me for controlling PVCs for the past several days. I've been pretty much PCVs free for now about 3 days!!!! I can't tell you how excited I am. It feels like being reborn all over again (that's how horrible it is to have PVCs). For background, I am a 34 yr old male who has suffered bad panic disorder since March 2014 after having bad reactions to Adderall and Wellbutrin. I started getting PVCs randomly for the very first time about a month ago on June 8, 2015. Not sure what caused it but I was watching Netflix around 11:30pm laying on the couch actually pretty relaxed. Without doing anything strenuous, my first PVCs started with the odd thumping in my sternum area. I was unsure what it was at first because I've never had heart palpitations before. But it continued throughout the night affecting my sleep and giving me a lot of anxiety as a result. Long story short, I've been to ER and urgent care several times this past month (one time even on 4th of July right before watching fireworks!). I have been a complete wreck emotionally feeling down and isolated and pessimistic about life in general (I mean, who wants to live with PVCs their entire life?). So anyway, I've been doing a lot of research and most forums will mention the usuals to take: Magnesium, CoQ10, Potassium, etc for helping with heart palps (all of them I take btw). But nothing stopped mine from happening! I found a bunch of articles talking about TAURINE, which has been studied for heart health, including heart palpitations and even CHF. So being super desperate, I went to Vitamin Shoppe that day (Friday, July 10, 2015) to purchase taurine that day I discovered it. I purchased a 500 mg per capsule with B6 combo. Friday July 10 - Took one capsule and still had PCVs that night. Saturday July 11 - During the day, my PVCs are bit more tame, but I immediately took another 500 mg taurine capsule and did NOT have a SINGLE PVC the ENTIRE DAY and NIGHT!!! Sunday July 12 - Went for 27 hours without a single PVC but got a small "thump in my chest" at 7:15 am on Sunday morning, so I got up quickly and took another taurine capsule. Then I took another capsule at 12:30 pm (about 5 hours later). Then I took another one at 9:00pm. AND SO FAR, I have not had a PVC the entire day and even as I'm typing!!! I know it's only been a few days of being PVC free, but I was having them consistently every single day and taking the taurine almost stopped it immediately. I am not sure how well it'll work for others here who may have different reasons for their PVCs or other heart palps, but I high recommend that others give this a try and let us know how it goes. It has worked for me and I hope it continues to work for (crossing fingers). Just wanted to share that I had MVP for years, confirmed by EKGs, etc... I had classic symptoms including palpitations, pain, shortness of breath. Then a year ago I went gluten free for other reasons. I had an EKG in August and not only was the MVP better, but they said there was "no evidence of a mitral valve prolapse". AND my mother, who went gluten free a month after I did (moderate MVP for over 10 years), had her EKG in June with the same result. Have you been tested for Prolonged QT Syndrome? Hello, you can reduce your pvc episodes by drinking carrot juice. I suffered 7 years with very bad episodes of pvc's. I sought help from a total of 4 cardiolist to no avail. I had many test performed including wearing a ekg monitor for a month 24 hours a day. My pvc's were increasing and getting worse. I would have episodes many times a day everyday. By chance a bought a Nutribullet and started making orange and carrot juice with flaxseed a few times a week. I noticed almost right away that my pvc's decreased for the first time. I started drinking this juice everyday and curiously my pvc's went away. As an experiment I stopped drinking my carrot juice for a couple of days and the pvc's came right back with a vengance. My recommendation is to keep hydrated and drink carrot juice everyday and you will see how your health will improve. I was also given beta blockers but never took them. I would love to know if this works for you. Please keep me updated. So many comments here. Sorry, couldn't read all of them. Read first few though. I want to share my experience. Please read if you still have irregular heart beat (high) sometimes called ventricular tachycardia (vt). In 2013 I first had this symptom. When it is normal, every report comes normal. It was so severe, once I fainted in 2013. My Heart Beat went to 300 bpm. Ambulance were able to catch the ECG. After deep digging into heart doctor couldn't find any problem in heart or blood. Next suspect was lunch. Here they found sarcoid. After discharge from hospital, I didn't take any medication for sarcoid but, I started taking home made green detoxification juice everyday and no fizzy drink, no caffeine, no alcohol, no smoking. Since 2013 I didn't have any VT and now I dont have Sarcoid anymore. I know there is no medical evidence on green juice treatment but, I believe I am cured now. I take 250mg magnesium in the morning and 250mg at night. No more palpitations. Malic acid is good for reducing anxiety. Works great in concert with calcium, magnesium, and overall good nutrition. Also adding in some cultured dairy is good for general health. Kefir (drinkable, similar to yogurt but with more strains of probiotics) is available at most grocery stores. I tend to just "feel better" when I have it. Also fermented cod liver oil / butter oil blend is good for the body. Has vitamin K2 in it, and vitamins A and D. The K2 helps your calcium end up in the bones and teeth, not in your heart and blood vessels. Actually tryptophan taken before bed was the missing link in the end. I break a 500 mg tablet in half. It also stops my palpitations if I get them at all. I was so much better with a drop of clear potassium iodide. But they came back!!! Also my cholesterol was way too low and I think that was a factor in my palpitations. Now I try to keep it at a total of 160. I think inner leaf aloe helps also if palpitations are related to GERD. For me ginger in any form starts heart palpitations within 5 minutes..even 1 teabag with green tea and ginger mix is enough..prior to findings this out tried several medications including beta blockers, none of them worked.. so I stay off the ginger.. it's a big relief when you can nail it... I think there will be other substances that that I don't know about yet.. I think palpitations can be caused by IBS or colitis. Sometimes it can irritate your vagus nerve, thereby causing palpitations. I have tried aloe Vera and whole plant aloe Vera almost killed me!!!! The inner leaf is fine because it doesn't cause diarrhea. This is only my personal opinion. 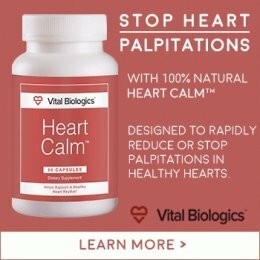 I found this "blog" today looking for some collaboration of my own dramatic elimination of ALL palpitations and arrhythmias. It was very clearly an unexpected benefit of taking significant amounts of B12 with Folic Acid and B6. the B12 was sublingual as was a blended in amount of B6 and Folic. Some of the Folic and some of the B6 were in tablets that were swallowed. Over a two month period i experience cures or serious remission of a variety of problems, but when I noticed my sleep was starting to improve I got serious about investigation what I deduced were strongly contributing factors -- the most important ones being arrythmias that set in around the fall of 2005. I went to a sleep lab and was diagnosed with a serious case of "central" sleep apnea. This terminology is used when the cause is not breathing obstruction but is otherwise unknown. I had an EKG today -- there were absolutely NO arrythmias whatsover! the EKG was absolutely perfect! This is a very dramatic result after years 11 years of suffering without help from anyone that made a differenct. At various times, for unrelated reasons, I did consume a significant amount of magnesium, but never ascertained that it addressed this problem. I have not been on magnesium supplementation during this experiment with B12. This is ONE anecdote -- not a well-controlled study. It is, however, as they say in the intelligence business, clearly actionable intelligence. Be careful, but consider looking into it. Oh yeah... I am sleeping much better now! Found out that palpitations can be caused by an omega 9 deficiency. Normally you make your own omega 9 from omega 3 or 6. But some don't make it the way they should? Heard a tablespoon or two of olive oil a day and see if that works. Heard it works for a lot of people. And keeping activity. Be sure to ask your physician about Potassium levels and magnesium. When it occurs for me I drop my head down and breathe slowly in and out. This may not work for everybody. Remember it so important to keep calm. I had the same problems when I was younger. I cut out caffeine and i stopped having them. I do agree with you, heart palpitations scare you when they happen. I was always scared my heart was going to stop. I take the drink type of magnesium. I was heard it was the most effective way to take magnesium. So grateful to everyone who has taken the time to share this information. I've been having them for a few weeks solid and the doctor's don't see it as an issue even though my heart rate is over double and not slowing down. So will try magnesium, taurine and a few of the other things here that have worked for some of you. It's a relief to hear from others who have also experienced this because it is very scary, so thank you again to everyone who has shared, it is a huge comfort to have some support and an idea of what to do when doctor's don't help. Everyone on this site keeps trying to look for the miracle cure for palpitations by adding some supplement to their diet. Wrong. The first place to start is not adding, it's eliminating. Stop taking any type of OTC meds for allergies or anything else. Change your diet to healthy and all natural. Drink water and get off caffeine. Get your gut in order to calm your vagus nerve down which regulates your heart beats. Get your stress and anxiety down. Get some exercise and see an acupuncturist if you don't want to take drugs. Once you've done all of this, then you can look at adding magnesium taurate and other supplements. If that doesn't work, go see an EP cardiologist for help.